For me, it's always a pleasure--admittedly, a shallow one--to handle church records from the 19th century. There's a great deal to please the Luddite in us: minutes are kept in longhand, signed in duplicate to guarantee authenticity, and the earlier you go, the more rustically bound the volumes. 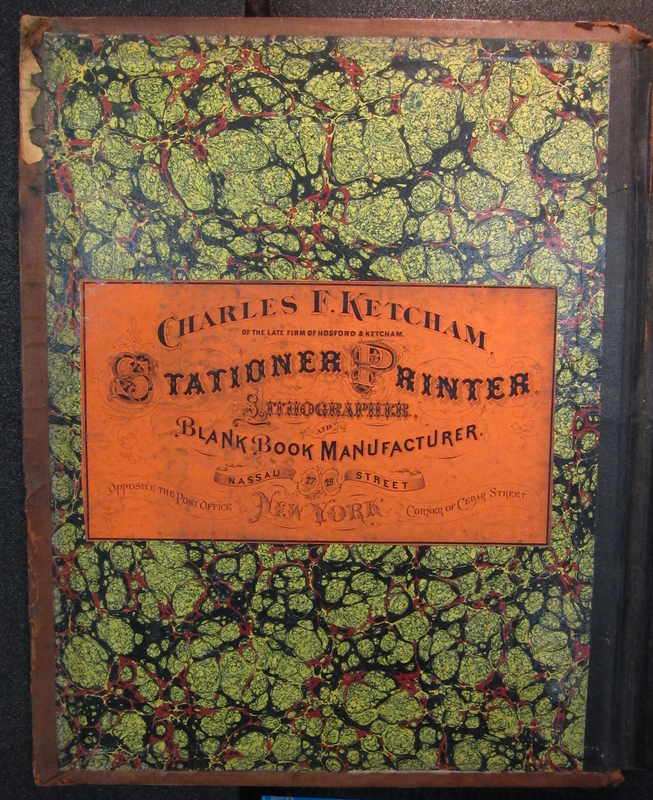 There are also prefigurations of our own age: witness the psychedelic olive marbling and fluorescent orange stationer's label of a volume of minutes. But it's the content that matters, really, and one can learn intimately from these volumes. The fervor of the Second Great Awakening in New York's Burned-over District is certainly present. In the fall of 1809, the church is apoplectic with Erastus Strong, a merchant and elder, for hauling dry goods on the Sabbath, "with the agravation [sic] of being done in the most public manner, and by the place where the church and people were assembled for, and actually engaged in the worship of God[...]". A later case, involving a real estate dispute between elders ended with one man expelled from the church and demanding "satisfaction" of the other. 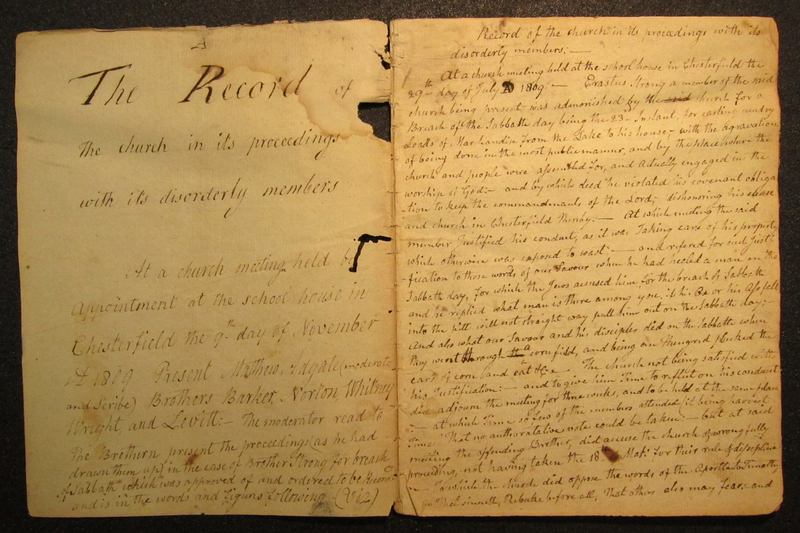 First Congregational Church (Keeseville, N.Y.) "Record of the church in its proceedings with its disorderly members", 1809-1817. By 1870, Presbyterian churches had been established in every American state and territory except North Dakota, Arizona and Utah, witness to an evangelical fire seeking new fuel, quenched only when, as in upstate New York, there is nothing left to burn.